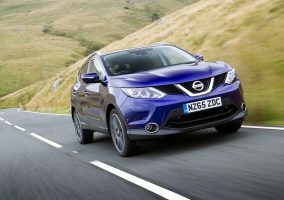 NISSAN has today announced full details and specifications for the new Nissan Qashqai, which arrives in dealerships across the UK in July. The original crossover and British-built best-seller has been given a premium makeover with a contemporary new exterior design, higher levels of interior quality, improved driving performance and the addition of new Nissan Intelligent Mobility technologies, including ProPILOT, Nissan’s autonomous drive technology. 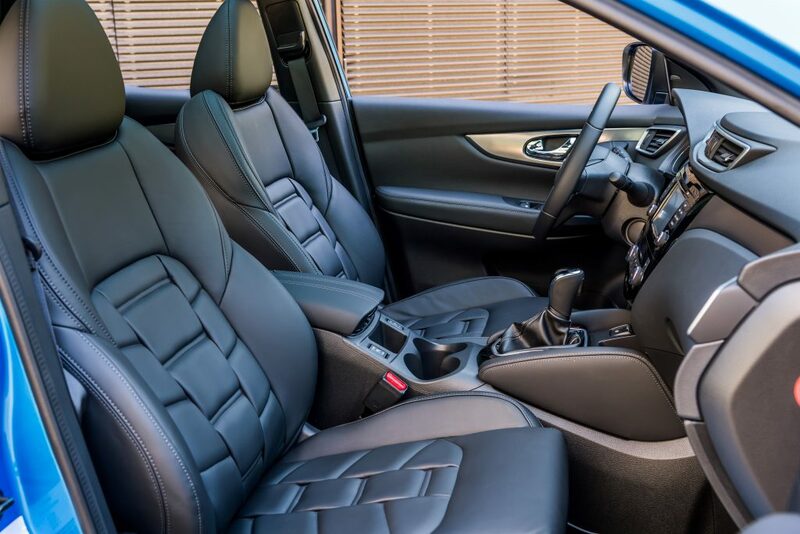 The impact of the premium upgrades to the Nissan Qashqai is most obvious with its interior enhancements, which are designed to be more driver-oriented and give an enhanced feeling of control. There’s a new D-shaped steering wheel, which has a smaller central hub to improve instrument visibility, and a four-way controller for the combimeter display to offer more intuitive use and less “eyes off the road” time. There’s also higher quality trim for the air vents and interior door handles, smart stitching and one-touch power window stitches for all four doors. Additionally, all windows can be opened and closed together remotely via the key fob. Comfort is also improved with a redesign for the front seats for N-Connecta grade and above, and the slimmer finish means more room for back-seat passengers. Acenta grade benefits from a new and more durable upholstered finish to the existing seat design. 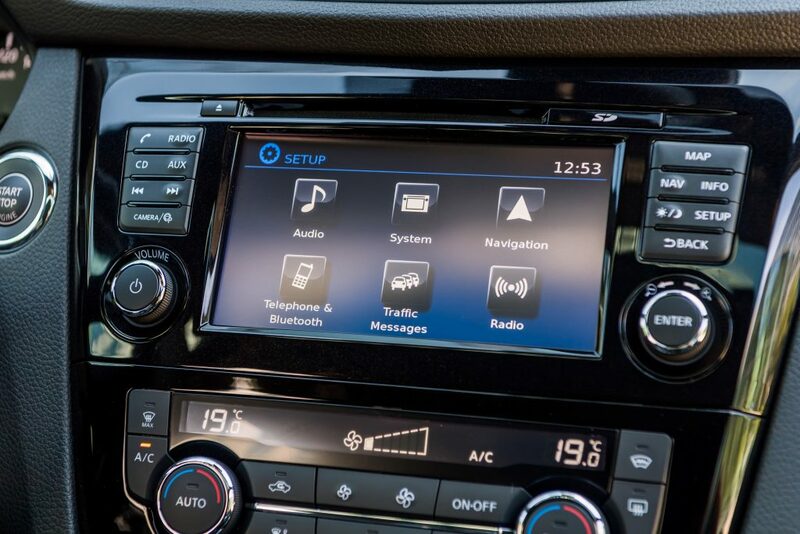 DAB digital radio is now standard, while the NissanConnect touch-screen satellite navigation unit (standard on N-Connecta grade and above, optional on Acenta) features a smart new user interface. Boot space is also improved, with a carrying capacity of 430 litres, which increases to 860 litres when the 60:40 split rear seats are folded flat. The boot features Nissan’s innovative Flexible Luggage Board System, which allows for shelves and dividers to be adjusted in any one of 18 configurations. 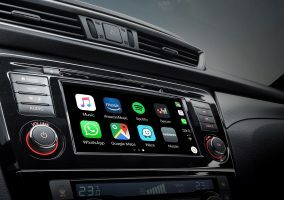 Also available is an all-new eight-speaker sound system supplied by BOSE, Nissan’s premium audio partner — resulting in the most complete sound system ever offered in a Nissan Europe vehicle. On the exterior, there are plenty of dramatic enhancements to improve the Qashqai’s look for every angle. 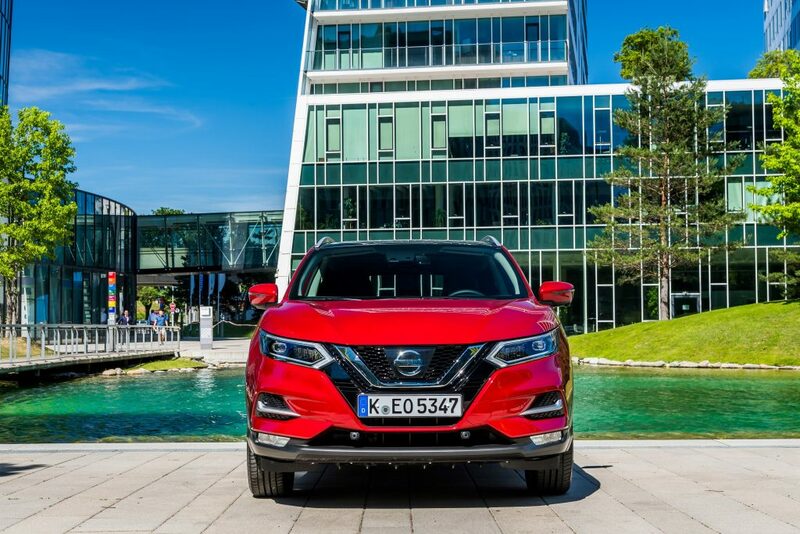 The front is completely revised, with an integrated new front bumper fitted as standard, front fog lamps as standard and the latest incarnation of Nissan’s iconic V-Motion grille. The grille’s chrome surround now houses the front camera that provides part of the image for the car’s Intelligent Around View Monitor, Nissan’s innovative 360° parking camera system. There is a crisper design for the headlamps, while the ‘boomerang’ Daytime Running Lamp (DRL) signature is new, comprising nine LEDs rather than six and a new thicker lens. 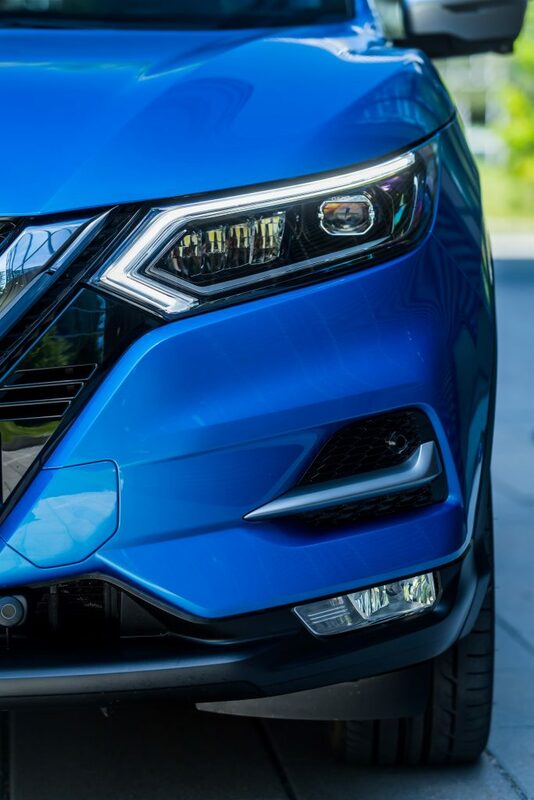 For Qashqai models with full LED lamps, there is for the first time, the new Adaptive Front Lighting System (AFS), which enhances visibility on corners. At the rear, there’s a redesigned bumper and an extension of the ‘boomerang’ LED light motif, while the rear parking sensors are now flush to the bumper. Premium alloy wheel designs are available in 17, 18 and 19 inches. And there’s more colour choice too, with Vivid Blue and Chestnut Bronze added to the existing palette. 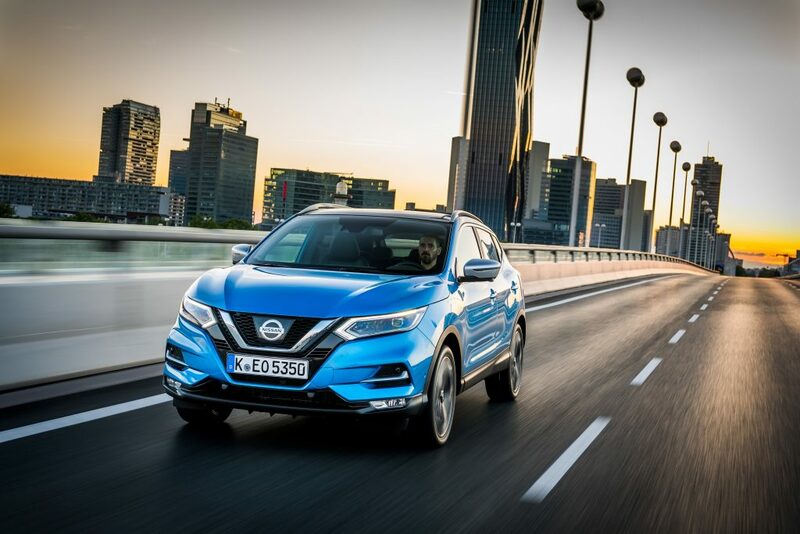 Using feedback from existing customers and by conducting their own research, the development team at Nissan Technical Centre Europe has improved the overall drive of the Qashqai, with enhancements in ride, handling and steering, as well as a reduction in cabin noise, vibration and harshness. 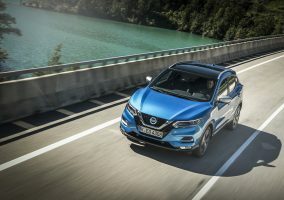 The new Qashqai will have new Nissan Intelligent Mobility technologies as well, including Rear Cross Traffic Alert, to mitigate the risk of low-speed impacts when reversing out of a parking space, and Pedestrian Recognition, which works alongside the current Intelligent Emergency Braking system. 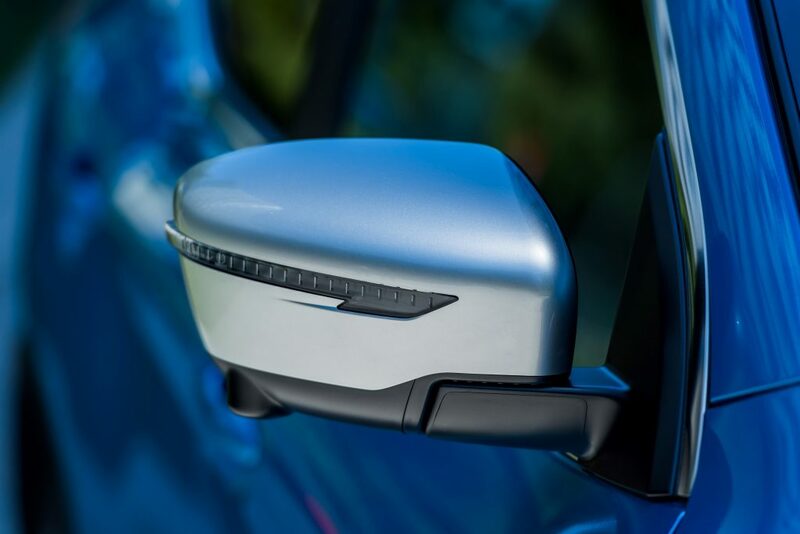 There has also been an upgrade to Blind Spot Warning technology, using radar instead of a camera for improved accuracy. Later on, there will also be the addition of ProPILOT, which will control the steering, acceleration and braking in a single lane on highways during heavy traffic congestion and high-speed cruising. 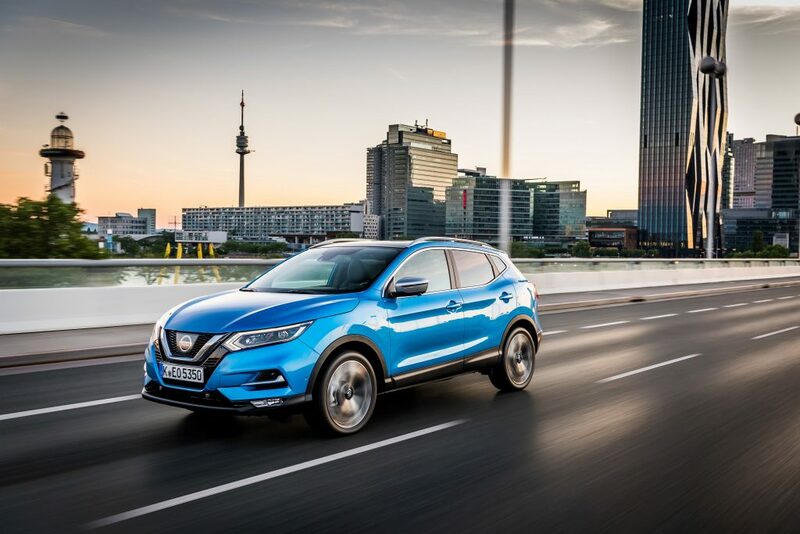 The Qashqai continues to be offered with Traffic Sign Recognition, Intelligent Driver Alertness, Intelligent Park Assist, Intelligent Around View Monitor and Lane Departure Warning. New to the Qashqai is a technology called Stand Still Assist (SSA), which supplements Hill Start Assist (HSA) on cars with a manual transmission. SSA holds the car in a stationary position for up to three minutes, after which time the parking brake is automatically activated. All these improvements mean the new Qashqai maintains its 2014 five-star Euro NCAP safety rating. 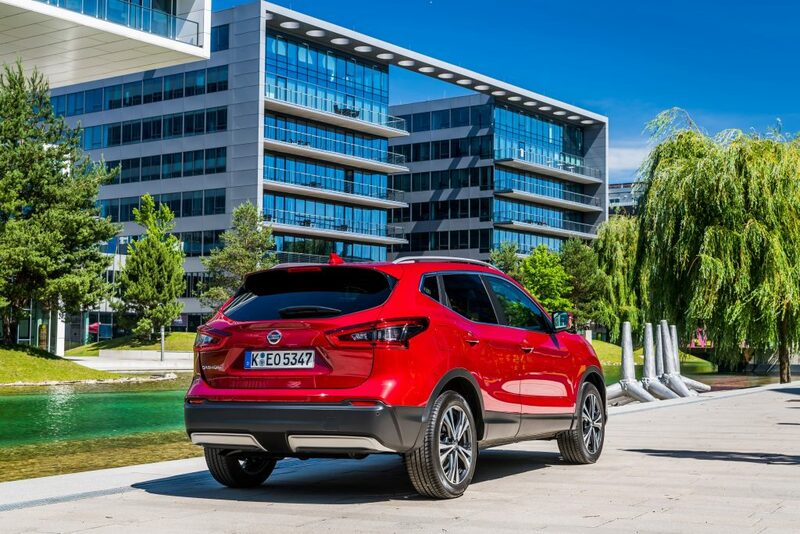 The Qashqai’s range of efficient engines has been carried over, offering the choice of petrol or diesel, six-speed manual or CVT XTronic automatic transmissions, and two or four-wheel drive to meet every type of customer need. The line-up includes the 1.5-litre 110PS diesel, which, with CO2 emissions of just 99g/km and a combined mpg of 74.3, is the segment leader. 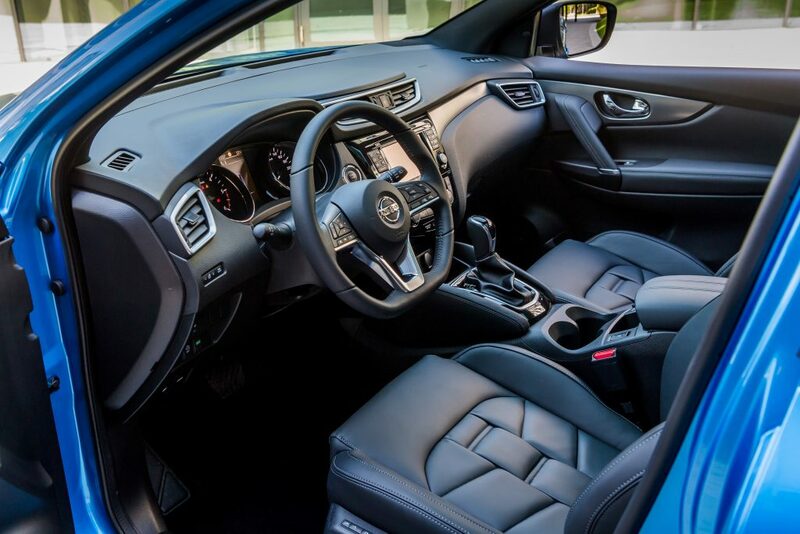 Every new Nissan Qashqai comes with six airbags as standard, plus driver assistance systems including anti-lock brakes, electronic brakeforce distribution and stability control. Other standard equipment includes manual air-conditioning, Tyre Pressure Monitoring System, DAB digital radio (in most markets), Bluetooth connectivity, cruise control with speed limiter, and electrically adjustable heated door mirrors. Depending on the grade chosen, available features include dual-zone climate control, automatic headlights and wipers, folding door mirrors and privacy glass. Many of the higher-grade features are available as optional extras on lower grades. Additional options include the full-length panoramic glass roof with one-touch shade, exterior styling plates and side styling bars. Genuine Nissan accessories include a dog guard, roof bars and a fixed towbar with electric hook-up. There’s also a new, premium Tekna+ grade, setting a new benchmark in luxury within the C-SUV crossover segment. In the cabin, the new premium seats are trimmed in the highest-quality soft nappa leather, with luxurious 3D quilting on the centre panels. Black leather is standard, with the choice of a rich plum colour as an optional extra. The driver’s seat features electrically controlled four-way pneumatic lumbar support and a seat memory function with two stored positions has been added, linked to the door mirrors. BOSE Premium eight-speaker audio is as standard, while on the exterior the grade will have premium satin silver door mirror caps and roof rails.